Haq's Musings: Debunking Haqqani's Op Ed: "Pakistan's Elusive Quest For Parity"
Debunking Haqqani's Op Ed: "Pakistan's Elusive Quest For Parity"
Contrast the words of Husain Haqqani, the disgraced former Pakistan Ambassador to Washington, with the statement of Stephen Cohen, a seasoned US expert on South Asia, with regards to India-Pakistan "balance" or "parity". Also note the lack of Haqqani's basic arithmetic skill in his India-Pakistan GDP comparison. The ratio of $2 trillion (exaggerated as of now) to $245 billion is closer to 8, not 10. Haqqani's latest Op Ed in The Hindu is part of his continuing campaign to please his western and Indian patrons by launching periodic attacks on Pakistan. It makes sense for him. His main target are the book buyers in the United States and India which represent two of the three biggest markets for books in English. Anyone who has read Haqqani's "Magnificent Delusions" is struck by the fact that almost all of his research is based on the work of press reporters like Time-Life's photographer Margaret Bourke-White and her fellow American journalists. Haqqani finds them more credible and insightful than Jinnah, Liaquat, Truman, Eisenhower, Dulles and other top leaders and policy-makers. If one really analyses Haqqani's narrative, one has to conclude that Pakistanis are extraordinarily clever in deceiving the United States and its highly sophisticated policymakers who have been taken for a ride by Pakistanis for over 6 decades. 1. Why would any country, including Pakistan, wish to seek parity with India which is only slightly better than Afghanistan in South Asia region in terms of multi-dimensional poverty assessed by Oxford Poverty and Human Development Initiative (OHDI)? 2. Why would any country, including Pakistan, wish for parity with India where a farmer commits suicide every 30 minutes? 3. Why would any country, including Pakistan, strive for parity with India where nearly two-thirds of the population still defecates in the open? 4. Why would Pakistan want parity with India which suffers some of the heaviest disease burdens in the world? 5. Why would any country, including Pakistan, seek parity with India which leads the world in child marriages? 6. Why would Pakistan seek parity with India which has among the highest levels of poverty in the world? Finally, it's important to note that Haqqani's Op Ed plays right into the Indian obsession with Pakistan as manifested in the continuing India-Pakistan de-hyphenation debate. For the last several years, Indian elites have been quite obsessed about de-hyphenating their country from Pakistan and fusing it with China by inventing such words as "Chindia". However, it's also clear from the Indian media reactions to Kerry's words that India's rivalry with Pakistan inflames far more passion in India than does India's self-proclaimed competition with China. Indian elites can be obsessed with China, even as Chinese elites think much less about India. This is normal. In an unequal rivalry, it is the lesser power that always demonstrates the greater degree of obsession. For instance, Greeks have always been more worried about Turks than Turks have been about Greeks. China's inherent strength in relation to India is more than just a matter of its greater economic capacity, or its more efficient governmental authority. It's a rarely acknowledged fact in India that most Indians are far more obsessed with Pakistan than any other country. But the ruling dynasty's Rahul Gandhi, the man widely expected to be India's future prime minister, did confirm it, according to a news report by America's NPR Radio. "I actually feel we give too much time in our minds to Pakistan," said Rahul Gandhi at a leadership meeting of the Indian National Congress in 2009.
comments on Haqani are right on the money! While I would like to acknowledge and express appreciation of every one of your "musings", let me do it once to cover all. Excellent, informative and relevant are the words I choose. Thank you for all the hard work it must take to produce this quality consistently. Yes, I have met the man a few times before and during his brief ambassadorship. Needless to say he's not popular among Pakistani expats in the US. He was known as the "most undiplomatic diplomat" who was least concerned about representing Pakistan's position in Washington. But he is some liberals' darling in Pakistan these days. Congratulation for such a nice patriotic and logical analysis of Haqqani propaganda and disinformation. Haqqani (jissay izzat ras na aai) is on a mission following her leader Benazir to dig the roots of Pakistan. How about fixing Pakiland's population numbers, which IIRC havent been updated since 1998, before updating India's GDP? Riaz sahib, What is your opinion on face to face meetings with haqqani?.. zorro: "Riaz sahib, What is your opinion on face to face meetings with haqqani?.. " It seems Husain Haqqani has a chip on his shoulder and a basic sense of insecurity which manifests itself in disdain for his origins, for all things Pakistan. He tries to cover it up by reciting lines from old Urdu poetry on every subject and every occasion. A reader has cited India's higher per capita income and HDI to challenge my contention that average Pakistanis are better off than their Indian counterparts. as well as military vision and steadfastness. excellent additions to the growing scholarship on Pakistan and its army. Let’s have quick look of Mr Hussain Haqqani’s [Nowadays an American Scholar who lecture on Democracy] dirty and filthy past while he was part and parcel of Army-Jamat-e-Islami Axis which is riddled witch scandals and corruption. A detailed CV of Husaain Haqqani is at the end to corroborate the comment. With brainwashing on the one hand and erosion of academic freedom on the other, the campuses (once temples of learning and enlightenment) have been turned into centres of rowdyism and repositories of deadly weapon. Students belonging to various schools of religious thought, regional and ethnic groups, particularly the Islami Jamiat-e-Tulba (the student wing of Jamat-e-Islami) , have played havoc with educational institutions. Professors were another target of the victimization carried out in this period. Members of the IJT launched a concerted campaign against professors known for their liberal views. In Punjab University, particularly, many professors were forced to resign, others were sacked. The situation was no different in the Quaid-e-Azam University, Islamabad, which had in the 70s attracted many brilliant Pakistanis who were teaching abroad. As the harassment became unbearable, most of these professors went back. To what extent fundamentalists blocked scientific knowledge can be assessed by one incident at the Karachi University, where a zoology lecturer was stopped from teaching Darwin’s Theory of Evolution. Similar incidents occurred frequently in the philosophy and the economics department. The situation has worsened wit the passage of time. During that period, a policy of appeasement towards the IJT made matter worse. Guns boomed at the Karachi University Campus for the first time in 1979 when, according to Imran Shirvanee, Raja Javed, a supporter of IJT, used a sten gun ‘to tackle the opposition.’ When the pen and free expression are throttled, the only means open to tackle opposition is a firearm. At that time, the IJT was the ruling party in Karachi University politics with Hussain Haqqani, Raja Javed was his close aide. Mr Haqqani. Right from this student politics with the Jamaat’s student wing, the dreaded Islami Jamiat-e-Tulaba, at Karachi University there is much that Mr Haqqani is answerable for. The violence at the university and the brutal suppression of free speech that the IJT imposed on the campus in those days was done with Mr Haqqani very much an active player. Many still say that he was the architect of the IJT’s policy of using brute force to suppress opposition opinion. We next saw him on PTV – which was a kind of a launching pad for him -during the 1985 partyless elections. It was an election which destroyed Pakistan’s politics in more ways than one and much that we see wrong with Pakistan’s politics today dates back to that election. It was because of the destructive potential of the election that every liberal and progressive party in the country boycotted those elections. Yet there was Mr Haqqani at his most articulate, lauding the farcical exercise as if it was the best thing that had happened to the country since its birth. These trends were certainly evident in the years that followed the partition: an early refusal to forward Pakistan’s share of the division of assets, ungracious sniping over the accession of two major princely states – Hyderabad and Kashmir – along with several minor ones, and a vindictive attempt to cut off water supplies from the Gurdaspur headworks. Additionally, chaotically executed and badly organised partition plans set the scene for bitter animosity between the two governments. Haqqani argues that such conditions also ensured that a mutually obsessive and compulsive set of hostilities persisted long past the partition decade. 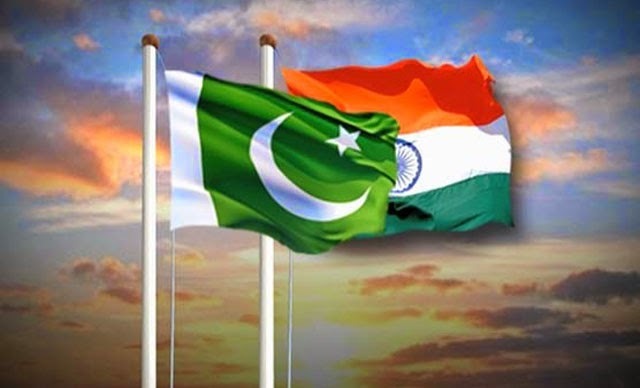 Irrational decision-making based on a blind tendency to seek retaliation against India at all costs led Pakistan’s army and security agencies to plan two ill-conceived wars, in 1965 and 1999. Both those wars, Haqqani argues, should have been avoided and, in any event, were fruitless. "The reason Britain partitioned India was to fragment Hindu areas into political entities and ensure Pakistan's emergence as the largest and most cohesive political power in the subcontinent. Pakistan's ultimate aim is to fragment India. Pakistani invasion of Kashmir in 1948 and subsequent wars are part of this continuous exercise. The Kargil war and the proxy war in Jammu and Kashmir are the latest example of this pressure. India has not been decisive and surgical in resisting Pakistani subversion. India has voluntarily given concessions to Pakistan despite defeating it in all major conflicts. Pakistan's long term objective is to ensure that India does not emerge as the most influential power in the South Asian region. The Pakistani power structure has a powerful antagonism toward Hindu-majority civil society in India. Pakistan has sought the support of a large number of Muslim countries and Asian and Western powers (China ad the US) to keep India on the defensive. Pakistan's continued questioning of Indian secularism, democracy and constitutional institutions is a deliberate attempt to generate friction within India. Pakistani support of the secessionist and insurgent forces in Jammu and Kashmir, in Punjab and in the north-eastern states of India confirms this impression." "In Pakistan's view the Partition is only the beginning. Her idea is to get a jumping-off ground to take the whole of India.....it was from the Mughals that the British took over (India). Now the British having gone, they (Muslims) must come back (to rule all of India)"
“CSF was not assistance. It was our money that we spent to support the US logistic operations in Afghanistan during the war on terror and it was reimbursed later. I sat in cabinet meetings where we approved allocation from our own budget to support the US operation. That money was later reimbursed by the US government through the CSF,” Dr Ishrat said while responding to Haqqani’s point that Pakistan did not deliver enough after receiving the US assistance after 9/11. While praising the Indian progress after independence, Haqqani strongly criticised Pakistan for failing to utilise $43 billion aid it received from the US since 1949 for its development. He said Pakistan did not need an aid model that never worked as it could not promote development. He said the US and Pakistan should cooperate in educational exchanges and human resource development as South Asian country’s had huge potential. “US Fulbright programme is helping Pakistani students but these students need to be sent to the top US universities to learn science, mathematics and related subjects,” Ishrat said adding that currently majority of Pakistani students were placed in less famous universities as it cost less. Speaking on the occasion Robin Raphel said the US assistance to Pakistan did achieve objectives. “We always know money can’t buy you love but when you build road, you build hospital or school, people do like that,” she said. She listed major development projects that were completed in Pakistan with US assistance provided under the Kerry-Lugar bill. These projects included the 2,400 megawatt electricity project, 1,100-kilometre road in tribal areas, clean energy project, the largest Fulbright programme and university partnership apart from $1 billion humanitarian assistance. Praising Vision 2025 programme of PML-N government, she said Pakistan under the current government had better sense of development priorities. She said the current Pakistani administration was not talking much about aid but the focus had now shifted to trade and business opportunities. Median wealth data indicates that 50% of Pakistanis own more than $1,180 per adult which is 120% more than the $608 per adult owned by 50% of Indians. The Credit-Suisse report says that the richest 1% of Indians own 58.4% of India's wealth, second only to Russia's at 74.5%. That makes India the 2nd biggest oligarchy in the world. The CS wealth data, particularly the median wealth figures, clearly show that Pakistan has much lower levels of inequality than India. Using the old national poverty line of $1.90 (ICP 2011 PPP) , set in 2001, the percentage of people living in poverty fell from 34.7 percent in FY02 to 9.3 percent in FY14—a fall of more than 75 percent. Much of the socioeconomic progress reported by the World Bank since 2000 has occurred during President Musharraf's years in office from 2000-2007. It has dramatically slowed or stagnated since 2010. 1. India leads the world in open defecation....in absolute numbers and percentages. 2. India leads the world in child marriages....in absolute numbers and percentages. 3. India has more poor, hungry and illiterate people than any other country in the world. 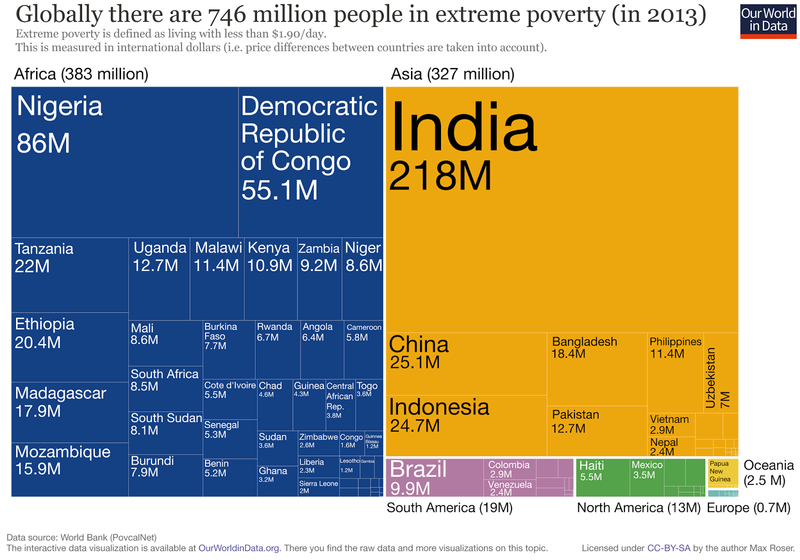 In percentage terms, the poverty rate in India is 2X higher than in Pakistan. 4. More farmers have killed themselves in India than any other country in the world. 5. Top 1% of Indians own 58% of India's wealth, 2nd only to Russia's 70%. 6. India has a mass murderer Modi as its elected leader. 7. India has more slaves than any other country in the world. 8. India has had more anti-minority riots than any other country in the world. 9. India is only one of only two countries where Apartheid is still rampant....the other is Israel. 10. There are more active insurgencies in India than any other country in the world. And yet, India is a "secular democracy"!!!!! All of the above are easily verifiable facts from credible sources which track such data.